10News gets an exclusive look inside the San Diego Rapid Response Network, the shelter housing migrants after they're released from ICE custody. 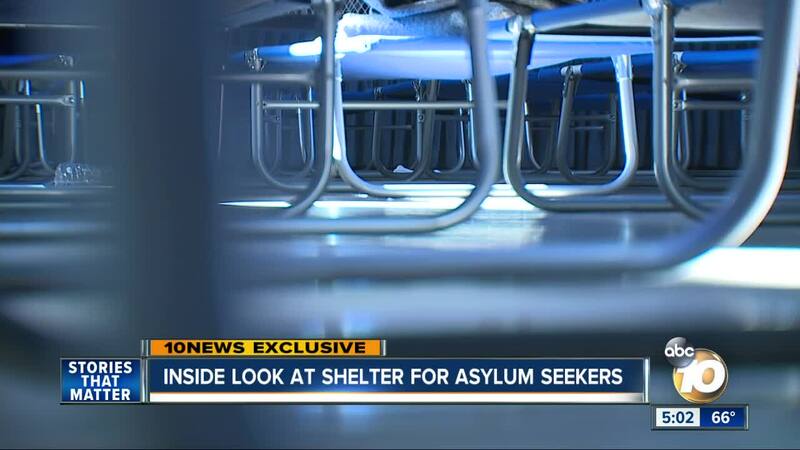 SAN DIEGO (KGTV) -- The San Diego Rapid Response Network (SDRRN) gave 10News an exclusive look inside the shelter where they help asylum seekers daily. The location of the shelter is kept private to protect the migrants. Rapid Response usually houses people for 24 to 48 hours. When migrants first arrive, they see a doctor the go to an intake room where volunteers help make travel arrangements with family members already inside the U.S. The migrants are fed three times a day and are each given a full set of clothing. Sometimes, the network even funds their travel plans. Volunteers at the shelter tell 10News they are running out of resources to continue helping. They want city, county and state officials to step in and help. In the meantime, they are relying on donations from the community. They've set up a GoFund Me campaign and a travel fund for the migrants who need help with transportation. The city tells 10News they are exploring all options to help. Tuesday, the asylum claims of six Hondurans were accepted for processing, ending a 17-hour standoff, according to the Associated Press. The asylum seekers arrived at the crossing Monday afternoon but after several hours in the U.S., inspectors agreed to process claims of eight unaccompanied children and a mother with her five children. Six more weren’t initially allowed into the country and sat on blanket through the night before authorities processed their claims. The impasse highlighted a U.S. practice to limit entry for asylum seekers at official crossings when they are at full capacity, which it calls "metering" or "queue management."